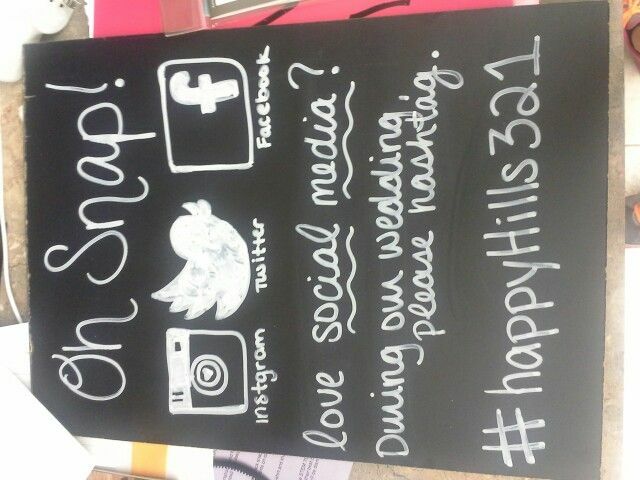 So, thanks to the lovely help of Pinterest…I have discovered Chalkboard signs for weddings. And, may I say now, I am slightly obsessed. 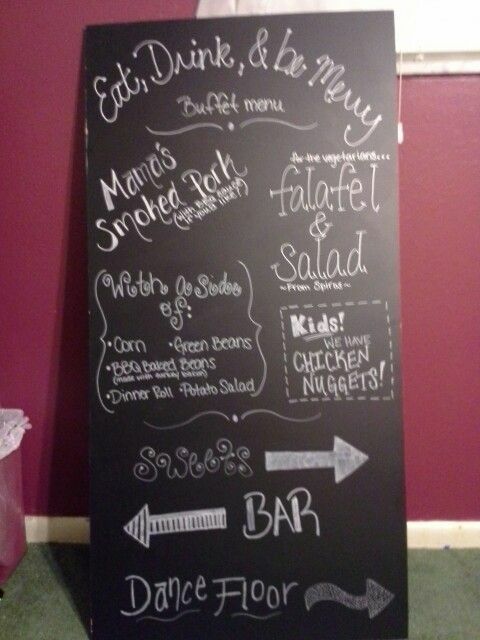 I decided, since it went along with my southern chic theme, that I would use chalkboard signs where I could. This included; The buffet menu, the bar menu, the guest gift/signature table, the dessert table, and my cute little social media hashtag sign. However! Rather than BUY a chalkboard from online which could cost you an easy $30-$50 per chalkboard, I found a cheaper, more budget friendly way to make cute chalkboard signs. Home Depot is your hook up. You can get a 3/16 inch x 2 feet x 4 feet sized chalkboard for under $10! I kid you not…it was less than $10! Now, for the dinner and wedding program sign I used the entire piece of chalkboard, however if you ask reaaaalllllyyyyyy nicely, the lovely people at Home Depot will but the chalkboard for you into piece. I had them but it into 4. Two in which were bigger and the last two were smaller. Another helpful hint. I thought I was going to have to use normal chalk OR paint pens to create these gems…again, guess what I found?! Chalkboard PENS! Yes! Michaels craft store has them…they are a little expensive, practically the price of the chalkboards, but one lasted me through all my chalkboard creations. Plus, if you mess up, just wipe it off and start again. 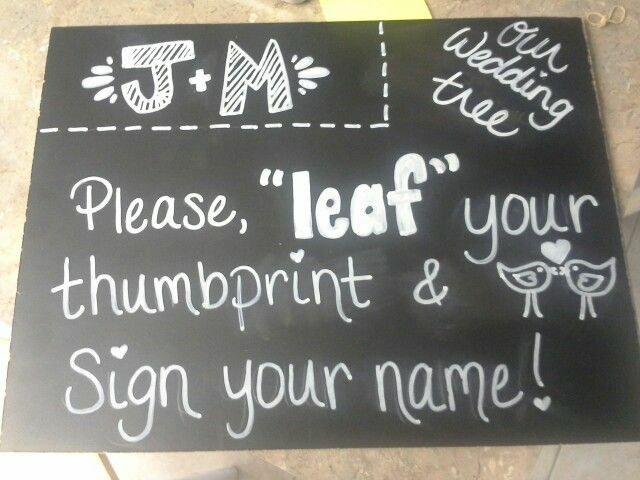 So, if you are looking for something cheap, cute, and unique to do at your wedding…make a few chalkboard signs! It is unique because you can make it look however you want; Create your own fonts, draw your own pictures, use your own wording, etc. I love them and am passing the chalkboards on to another friend for her wedding in June. So you can also recycle the boards! Have a child? Put it above their bed to let them draw on. Attach it to your kitchen to write meals or instructions on for when you leave your spouse at home to make dinner. Omg! That is soooooo CUTE!!!!! I love them! Im so gonna do that for my wedding, plus the price is much less than actual posters! Oh by the way, Awesome blog! Love it!